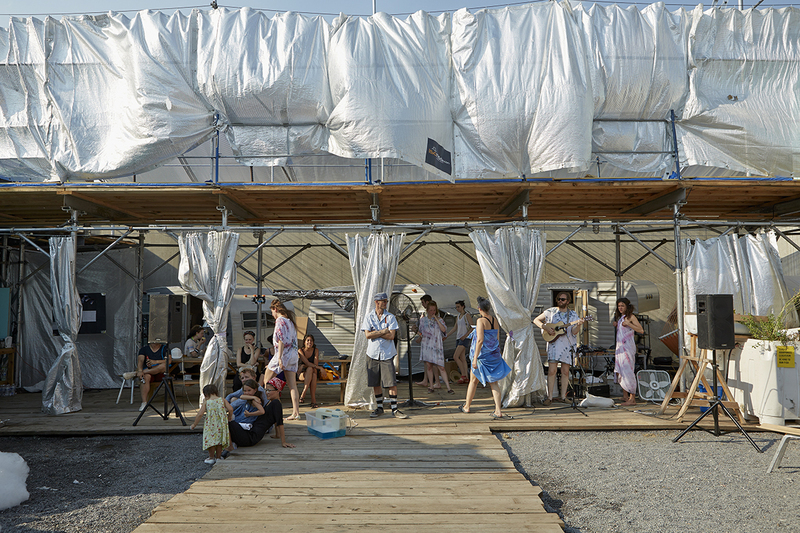 Colony, an ongoing module of the current exhibition Expo 1: New York, introduces a weekly rotation of artists living and working in the outdoor courtyard at MOMA PS1. The third week of this collective manifestation, titled Civilization: Monumental Materialism, was hosted by the Icelandic artists Hrafnhildur Arnardottir, Ingibjörg Sigurjónsdóttir and Ragnar Kjartansson, who then invited ten additional participants. Artists' activities ranged from the enduring and far reaching, such as using a jackhammer to bury a mysterious time capsule on the grounds of PS1, to the more subdued: Sirra Sigrún Sigurðardóttir mentioned the occurrence of a lot of poetry reading, discussions and singing. 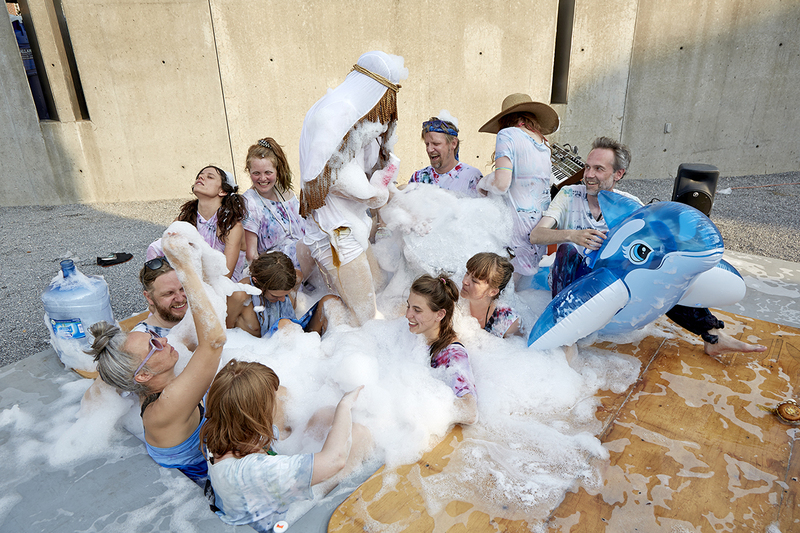 On Friday, July 19, the colony's rites included a musical performance with Ragnar Kjartansson, Kria Brekkan, Ryan Erskine, Ragnar Helgi Ólafsson, along with other participants surviving the heat wave. 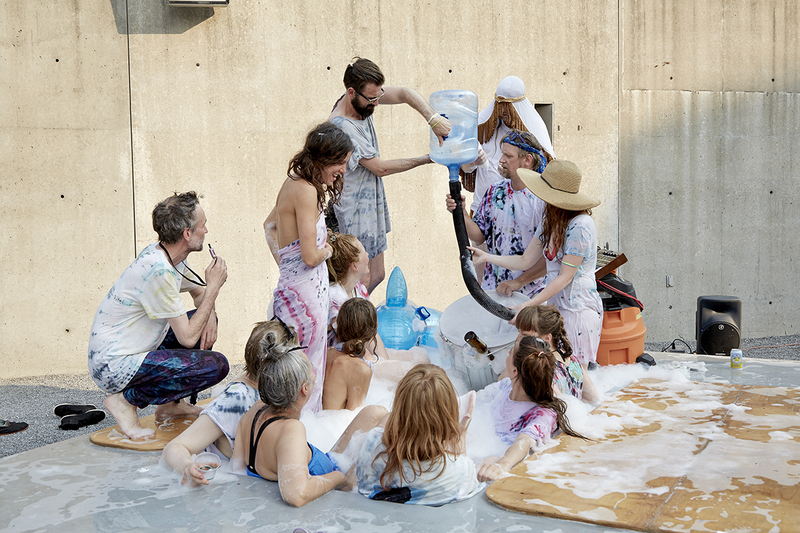 In the lingering scorching sun, the colony erupted in a performance involving a pool of water emanating synthesized sound, as an excess of soap bubbles cascaded from a contraption involving a vacuum cleaner and a garbage can. 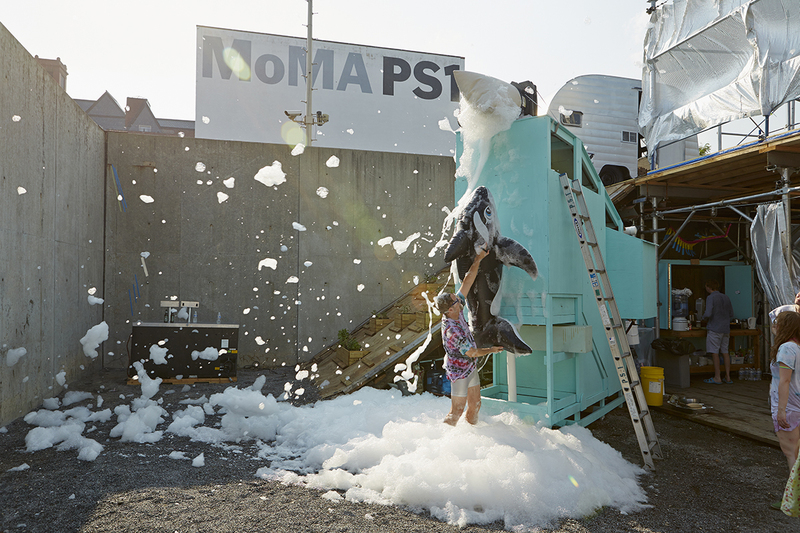 This foam machine was created by Kolbeinn Hugi Höskuldsson and inspired by prior group discussions. The operative and mythic was reinforced by the colony's self-created uniforms of anachronistic, tie-dyed garments, some remaining t-shirts, some resembling togas. 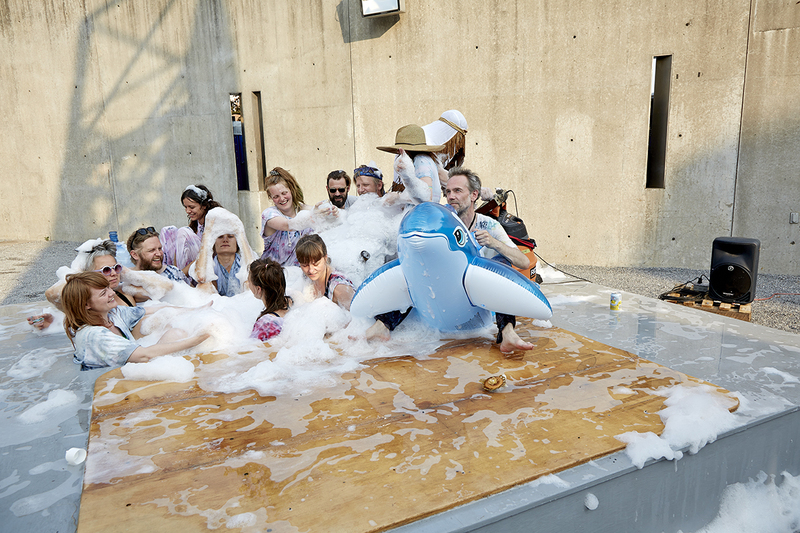 The performance involved a hefty amount of spray and bubbles, which alighted skyward on currents of hot-city wind; this, and a dense capacity of bodies, conjured images of Venus' birth out of sea foam. The 13 participating artists of Civilization: Monumental Materialism included Anna Hrund Másdóttir, Björk Guðnadóttir, Erling T.V. Klingenberg, Hildigunnur Birgisdóttir, Hrafnhildur Arnardóttir a.k.a. Shoplifter, Ingibjörg Sigurjónsdóttir, Kolbeinn Hugi Höskuldsson, Kria Brekkan, Magnús Sigurðarson, Ragnar Kjartansson, Ragnar Helgi Ólafsson, Ryan Erskine, Sirra Sigrún Sigurðardóttir. Images courtesy of Elisabet Davids and the artists.